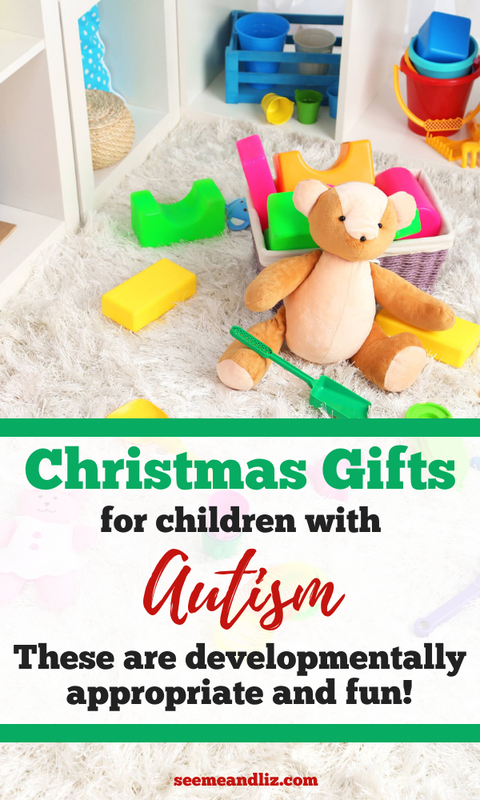 Seeme & Liz > Christmas Gifts > The Best Gift Ideas For Children With Autism – Here’s What They Really Need! Gifts for children with autism can be a challenge to find. It can be tough to shop for a neurotypical child, but when you add special needs to the mix, such as autism, it can become almost overwhelming. There is a range of skills, abilities and struggles for a child diagnosed with Autism Spectrum Disorder. This makes it difficult to recommend the “perfect” toys for children with autism. What one child finds overstimulating may be calming for another. Please keep that in mind when thinking about a toy on this list. 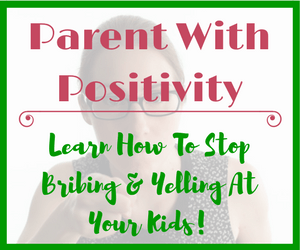 You know what your child or the child you are working with, likes and doesn’t like. The toys I am featuring are not geared to a certain age group, as from a learning perspective, developmental age (the age at which the child is functioning) is more important than chronological age (the actual age of the child). I do want to clarify that this is only true to some extent. For example, you wouldn’t necessarily want to purchase a Paw Patrol gift for a 12 year old. Some of the links in this article may be affiliate links. As these are gifts, I am choosing items that children will hopefully enjoy receiving. So there won’t be any pencil grips or weighted blankets. Although, I highly recommend both of these products (I personally use a weighted blanket to help with insomnia) but not as gifts for a child. A body sock makes the perfect hiding spot when life gets overwhelming. Encourage your child to climb inside and try walking, jumping, crawling, rolling and stretching to strengthen spacial awareness skills! You can also incorporate language building activities while your child is using the body sock. For verbal children, the body sock can also be part of pretend play. Pretending is often difficult for children with autism, but it’s still an important skill. Sound puzzles can be very rewarding for a child with autism because there is an instant “response/reward” when the correct puzzle piece is placed – a sound is made. It’s also a great way for a child to learn about cause and effect. From a language perspective these puzzles are wonderful for teaching new vocabulary to a child learning to speak. Puzzles also help facilitate hand eye coordination. These puzzles can also be used to promote listening skills. Sound puzzles are available in a variety of themes, from vehicles to zoo animals and many in between! The only drawback to these puzzles is that if all the pieces are not put back in their proper places in the puzzle, it more often than not will make noise once the puzzle is in a dark spot. I suggest making sure these puzzles are not in your child’s room or anywhere that they can suddenly startle someone in the night. Blocks are a simple, tech free learning toy perfect for all children! What sets the sensory blocks apart from many others is that their surfaces are textured. If you have a child who likes to throw or hit with objects then take a look at the Edushape Easy Grip Soft Foam Sensory Puzzle Blocks. These blocks are soft (so they won’t hurt) and also have small protruding nubs on all sides making them ideal for the child who is seeking sensory input. The drawback to these blocks is that because they are so lightweight they fall over or get knocked down very easily. Bristle Blocks also provide sensory stimulation as all sides contain soft interlocking bristles. They are harder than the foam blocks and can therefore hurt if they are being thrown around. A positive however is that they lend themselves to hours (or many minutes) of frustration free building as they stick together! A small trampoline is perfect for a child with special needs (or any child for that matter). It’s a great way to work on developing and strengthening gross motor skills in a fun way! Children who are seeking sensory input can also benefit from a trampoline. I love the Fold & Go one because it has a handle for the child to hold onto and it can be folded up and stored away in a few minutes. When I worked with children with autism I always had a small trampoline nearby that we would use for breaks as well as to practice words like “jump”, “bounce”, “more”, “on”, “off”, etc. Squigz are a lot of fun (my kids have them). But they are also a simple way to practice fine motor skills, creativity and problem solving. If your child is learning colors it’s also a natural way to talk about colors. Squigz can also be used to provide relaxing independent play and sensory stimulation. There are many “find it” games to choose from. I recommend starting with the Original Kids Version if you are not familiar with them. This is a great toy as it can be used simply for calming and focusing but it can also be used for skill building! Your child can can also practice and strengthen motor skills, vocabulary, visual recognition, shapes and colors! It’s perfect for children ages 5+ to use at home or in school. If your child is seeking oral input I would not recommend this set as the items are not meant to be chewed on. Many of these items would also make great stocking stuffers! Both of my kids had some (they do not have special needs). My son had a soccer ball necklace as he was always biting the necks and sleeves of his shirts from the time he was 3 until he was about 7. I taught him to bite on the soccer ball instead of his clothes and this helped save many shirts! My daughter had a heart necklace and a bracelet, both which could be chewed on, to help with her thumb sucking and nail biting habits. Chew necklaces are perfect for any child seeking oral stimulation. Keep in mind that this is going to be a gift, so it should be something the child would enjoy receiving and wearing (there are options for girls and boys! If you are having a hard time finding the perfect piece of Chewlery you can also do a search for teething necklaces as they are made of similar material and can be chewed on. Chewlery has come a long way over the last 5 to 10 years. This type of product was not available when I was working with children with autism and other disabilities. The occupational therapists I worked with often made their own chew toys from items found at the hardware store. Now you can even get themed sensory chew necklaces like these LEGO brick ones! The Oombee Cube is a multi-sensory toy perfect for children seeking sensory input. But it’s also great for skills building. This cube is made of BPA free food grade silicone with textured shapes that are safely tethered to the cube. 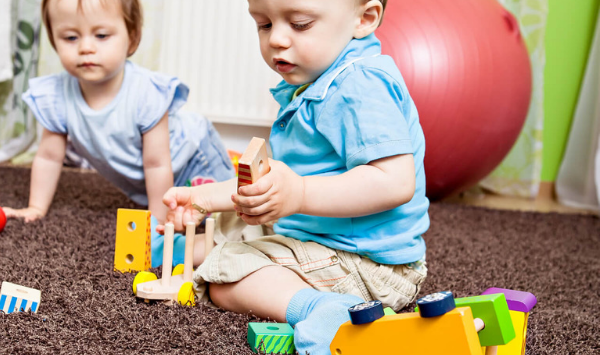 Your child can play independently or with you while working on fine motor skills, visual spatial skills, tactile exploration, problem solving, shapes and colors! 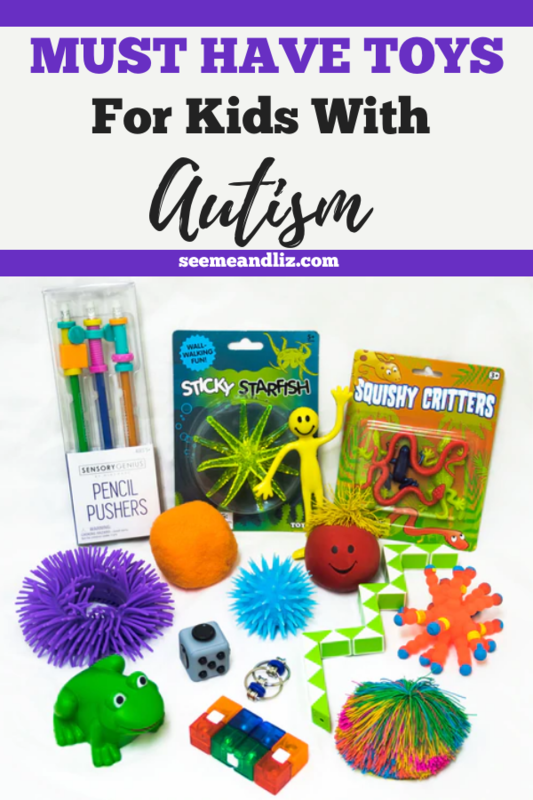 Another must have sensory toy for kids with autism! The Teeter Popper by Fat Brain Toys wasn’t actually intentionally designed for children with ASD. It’s a concave board with silicone suction cups on the bottom. It can be used in so many different ways and is ideal for stimulation of the senses (the suction cups make popping sounds when they release), imaginative play, improving core strength and stability, gross motor skills, balance and coordination. Encourage your child to try sitting, standing, laying, kneeling and whatever else they can come up with on the Teeter Popper. It’s available in a variety of colors! Many children with autism struggle with certain forms of sensory input. For many, something as common as water can be a turn off. But we all know that children (and adults) need to bathe. Fun bath toys (bath toys article) can help ease the anxiety of water for many children. The Bubble Bath Whisk is very simple but a lot of fun. If your child has a strong aversion to water start by using it in a sink or bucket of water. It’s also great for strengthening motor skills! And the bubbles it helps make (you need soap in the water for it to work best) can be calming for many children. As you can see most of the gift ideas on this list are suitable for all children. 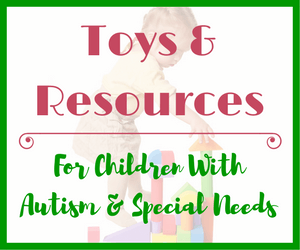 While there are some that are specific to kids with ASD, you don’t need to find toys marketed specifically to children with special needs. 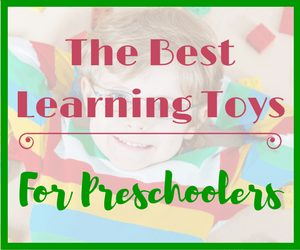 Simply choose toys based on your child’s needs and interests! What a great and timely article! Lots of great ideas that many kids including kids with ASD would enjoy. Thank you for providing such a thorough list and for avoiding technology. These are great and I plan to share them. Thanks B.J! 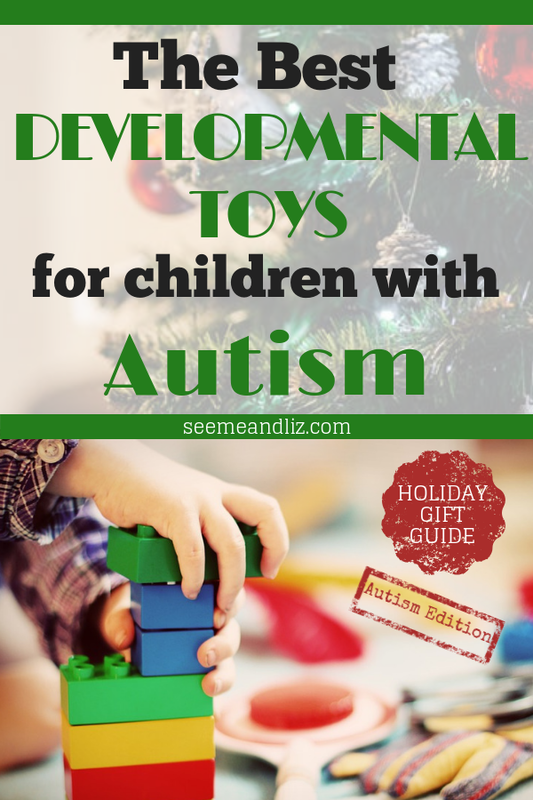 I am glad that you liked this list of recommended toys for children with autism! It is clear that parents who have children with autism have a battle on their hands, for life. It is also clear that anyone trying to buy these children a present for whatever reason can be extremely difficult. Given that each autistic child is different, which is just the same as non-autistic children by the way, it does seem that the level of difference is far greater and also harder for others to ascertain. 1. 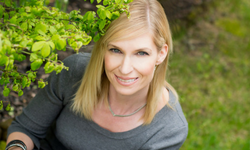 What one child finds overstimulating may be calming for another. lets anyone reading this article understand that each child needs to be understood before you can buy them a present. In order to understand a child it would be necessary to get to know them, but this is not always possible, so speaking to the parents about what the child wants, needs or will benefit from would be a good idea. Once you have done this there is enough information here for you to make a purchase of toy for the child with as much knowledge as you can. I have always found that the developmental age is usually more important than the actual age of this child, I guess from reading this that is far more important with autistic children. Would you be able to enlighten us on the issue with over stimulating a child who is autistic, because even armed with knowledge, I would find this to be the most daunting component of buying a present as a gift. 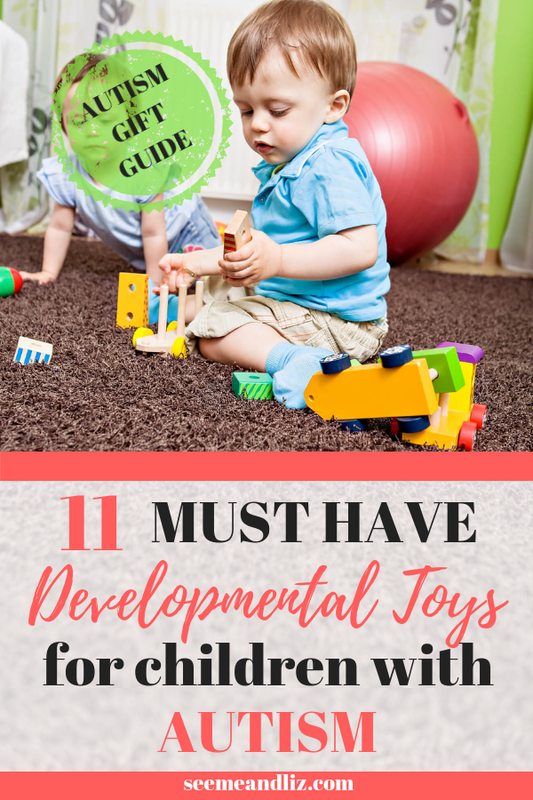 Choosing an age appropriate and developmentally appropriate toy for a child with autism is not an easy task. I wouldn’t say that developmental age is more important than chronological age but it should not be overlooked. As I mentioned in the article giving a 12 year old a Paw Patrol toy may be developmentally appropriate but it is not age appropriate. This is why it can be very challenging. 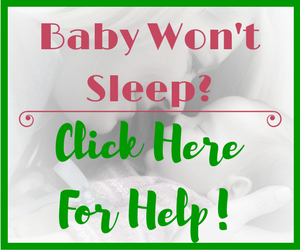 As for the overstimulating part, this can happen with children who are highly sensitive. So a toy that spins, plays music and bounces up and down would not be a good idea for this child. OMG, how have I never seen or heard of body socks before? The same goes for several other toys on your list. It’s amazing that there are so many new products on the market, but they aren’t just high tech. Some of the simplest things, like the blocks with the bristles. Such a simple yet creative idea that will appeal to a variety of children, including those with autism. I have been struggling with selecting a gift for a friend’s daughter. She has autism, and I simply had no clue what to buy her. I was terrified of buying something that would be unsafe or unappealing to her. The suggestions here are great, but even better is the practical advice that you give on gift selecting. I feel more relaxed and confident about selecting something that she will love. Thank you for sharing your expertise! Thanks for your comment Theresa. Don’t worry, there are many people that haven’t heard of body socks before. They aren’t very common unless you have worked with or know children with sensory processing issues. I am glad that I was able to give you some ideas for Christmas gifts for your friends daughter with autism. If you have any specific questions about any of the toys please let me know! Body socks are great! We have one for our adopted daughter who has sensory needs. She loved it for years. 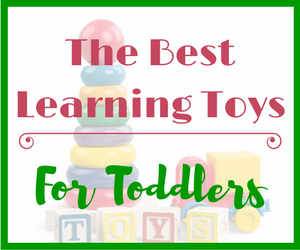 There are lots of great toys on this list. I do not work with nor have children that are autistic. I do not even have children, but surfing I found your article and it caught my attention. I said to myself, I wonder if she mentions what my wife makes. My wife sells heated corn bags for aches and pains. She had a lady once who worked with autistic children. She loved them and bought tons to use for soft weights on the kids laps (weighted blankets in other words). I was enjoying the article so much I had to read the whole thing. I always am one who loves to learn. So articles like this fascinate me. Thanks so much for your comment. I know exactly the type of bags your wife makes and yes, they are great for children with Autism. Many do like the feel of something heavy as it helps calm them. I did not add products like these to my list because I wanted to keep it to fun items a child would be excited to receive. Although products like a weighted bag definitely help these children they aren’t a “fun toy” in the eyes of a child.